Did you miss this when we posted it back around Black Friday? It is only $10 away from the Black Friday price right now. 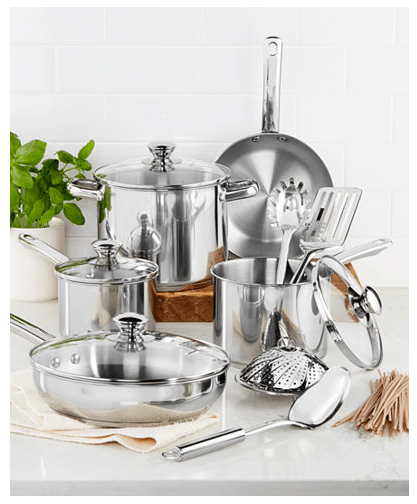 Macy’s is offering this Tools of the Trade Stainless Steel 13-Pc. Cookware Set for $39.99. That is down from the normal price of $119.99.